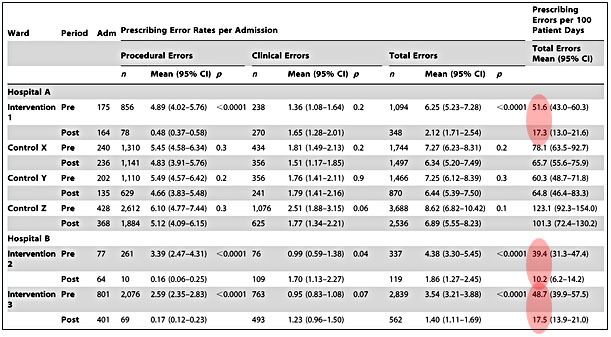 Three control groups saw only slight drops in their error rates. Replacing handwriting with electronic records has a huge impact. So the moral of the story is: Switch to electronic records! These systems not only catch medication and dosage errors algorithmically, but they reduce the chance of errors from illegible written scripts. In the meantime, start taking handwriting as seriously as you do washing your hands.